Приветствую всемирно-известного Mакедонского маэстро и редактора журнала “The Macedonian Problemist” – автора Zoran Gavrilovski! Even with one solution this would have been a good problem. 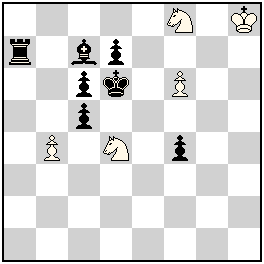 It is a great achievement to have a second matching solution having different order of moves and a different B1 move. Well done!